Fear of falling affects 50% of senior citizens who have experienced a bad fall. This fear keeps them from living fulfilling, independent lives. The solution is simple – learn everything you can about Fall Prevention and use that knowledge to implement strategic solutions to prevent falls. 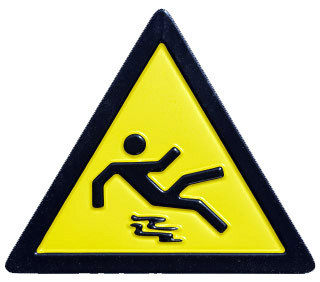 One third of all reported falls are due to environmental factors (Tremblay and Barber). Oddly enough, these are the easiest to control – especially in your own home. Ways to improve your home include installing grab bars in the bathroom and in stairwells and entrances; ensuring proper lighting so that you can see any obstacles in your loved one’s path; and removing tripping hazards in entrances and pathways (“Fall Risk Prevention Program”). Also, see the Designing Your Home for Aging in Place on CareisThere.com. Whether it’s prescription or over-the-counter, drugs change the chemical balance of our bodies. When you’re younger, your body can compensate, but as you age that ability diminishes. This can result in severe side effects that increase the risk of falling. 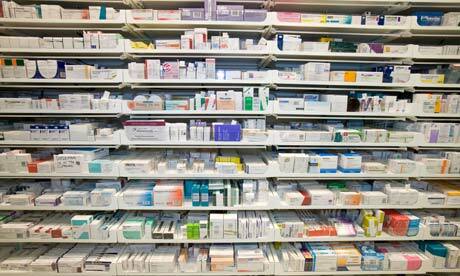 The risk doubles and even triples when different drugs are taken simultaneously. According to “Preventing Falls in the Elderly”, sedatives, anti-depressants and anti-psychotics are more likely to increase the risk of falling because they effect mental alertness. Keep a list of all the drugs your loved one takes, prescription AND over the counter; keep it on you or ask them to keep it on them, so that when they visit the doctor (or if there’s an emergency) you can ensure that any medicine they receive will not have adverse reactions to the ones they’re already taking. For a handy print out, try this one at learnnottofall.com. Create and stick to your medicine schedule – this will ensure a steady balance of the drug in your loved one’s system so that they don’t have symptoms from withdrawal. In any new symptoms DO arise, contact a doctor immediately. Fill any prescriptions and purchase all over-the-counter drugs at the same pharmacy; they will keep a record of the prescriptions on file and will flag any combinations that will have adverse side effects. There are many types of medical conditions that increase risk of falling. They include heart disease, Parkinson’s, low blood pressure, chronic obstructive pulmonary disease (COPD), diabetes, arthritis and mental confusion (“Your Medical Condition” learn NOT to fall). One of the biggest though is osteoporosis. There is some debate as to whether the brittle bones case the fall or are just the biggest injury from the fall. Make sure elderly loved ones keep a well-balanced diet and try to incorporate as much diary and vitamin D in their diet (Tremblay and Barber). Talk to a doctor about treatment of medical conditions and prepare your home so that, if a fall should happen, you will be ready for it. Seniors with vision problems are almost twice as likely to fall than those with perfect vision. This is because vision and balance go hand in hand; when static and dynamic visual information is lacking, balance and posture are off, which leads to falls (Duquette and McClure). There are many other medical eye problems, aside from failing eyesight, that can increase fall risk – cataracts and glaucoma for example (Tremblay and Barber). For more information about low vision and for service providers in Central Virginia, see the Vision Services page on CareisThere.com. When anyone does not remain physically active, their body loses muscle, coordination and reflexes. These three things are protection against falls. Exercise is the only solution, even if it’s just 15 minutes every other day. That’s all it takes to keep your body in shape and help prevent falls. Create a regular exercise regimen for the seniors in your life and you’ll find they not only will gain in strength, balance and reflexes, but they will regain the confidence they may have lost after a bad fall. There are many different devices available to help elderly persons with balance issues or medical problems that make them unsteady on their feet. These include canes, walkers and reachers. You can find a list of Assistive Device providers at Care is There. Many home health agencies employ occupational therapists and physical therapists that can provide fall prevention advice and care to their clients, and these programs are sometimes covered by Medicare. You can find a list of Occupational and Physical Therapists at Care is There. “About Falls”. NIH SeniorHealth. Falls and Older Adults. Jan. 2013. NIH SeniorHealth website. Tremblay, K.R. Jr., and C.E. Barber. “Preventing Falls in the Elderly”. Colorado State University. 19 Apr. 2013. Online Article. “In-Home Care Supports Senior Fall Prevention”. Caring: Right at Home.Feb. 2013. Online Article. Hosier, Amy F. “Stand Up to Falling: Vision Impairment and Fall Prevention.” Universit of Kentucky College of Agriculture: Cooperative Extension Service. 2010. Online PDF. Duquette, Josée, and Marie-Ève McClure. “Prevention of falls among seniors with a visual impairment.” Institut Nazareth & Louis-Braille. 18 Jan. 2013. Online PDF. For more articles like this, see: Long Distance Caregiving, Resources for Central Virginia, Aging in Place, Assistive Technology, Managing Medications. Know someone who worries about their elderly parent in Charlottesville, Staunton, or Harrisonburg Virginia? Care is There Geriatric Care Management can help! Have them contact us for a free consultation: 434.326.5323 or info@careisthere.com.